We'll manage your home & deliver unbeatable peace of mind. Our standard is to be OUTSTANDING in all that we do—come experience it! Our mission is to serve. Professional solutions for your property needs. 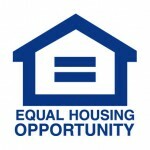 Tired of chasing tenants for rent payments each month? We'll handle rent collection for you. Our digital portals make it easy for tenants to make payments online. We use a wide assortment of marketing tools to connect with the largest audience possible. 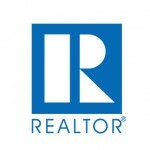 Interested renters can even schedule a property showing using our digital listings. Problematic tenants cause endless headaches for property owners. We've developed an in-depth screening process to keep bad apples from poisoning your investment. Say goodbye to long weekends spent resolving problems in your rental home. We process maintenance requests & coordinate with vendors to get the work done right. Entrust your home to Westrom Group and you'll never worry about the health of your property again. We schedule frequent inspections to keep tabs on your unit. From tax paperwork to profit & loss statements, our team works diligently to keep your financials in order. Access your information at any time using the account portal. Kicking a bad tenant to the curb is an unpleasant process. With our team at your side, you'll never go it alone. We handle evictions and work to find a new renter for your home. Struggling to understand the nuances of landlord-tenant law in Texas? Our seasoned staff has helped countless property owners to respect the law while remaining profitable. Learn what separates us from the competition. Our team understands the importance of maintaining constant communication with our property owners and tenants. Need to get in touch with us? Simply pick up the phone—we're happy to answer questions and provide guidance for your rental home. Unlike some property management firms in Dallas still relying on outdated tools from the 20th century, at Westrom Group, we use an assortment of powerful resources to manage your home. Digital listings and 24/7 online account portals keep us one step ahead. Think you can find better customer service from another property management firm? We'd like to see you try. At Westrom Group, keeping our tenants and clients happy isn't just a goal—it's our priority. We work to make things right and meet your expectations. Don't get stuck paying a mountain of hidden fees or dealing with a property manager who makes big decisions without consulting with you. Our team focuses on keeping property owners profitable, without sacrificing our integrity. We've built relationships with great vendors across Dallas-Fort Worth, which allows us to handle maintenance and repair requests quickly. Our vendors provide quality service that meets building codes, and we've negotiated preferential rates with many providers—a savings we pass along to you. 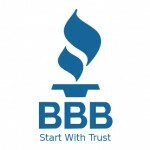 Many new property managers make big promises, but we have the experience necessary to deliver impressive results. Founded in 1995, our team has a track record stretch across two decades in the Metroplex. Work with us and you'll benefit from years of industry expertise. "My wife and I had debated hiring a property manager— I figured I'd listen to what they had to offer, but wasn't sure what direction we were going to take. As soon as the meeting was over though, I called my wife to tell her that we had ourselves a property manager." "I was a tenant of the Westrom Group for a year. 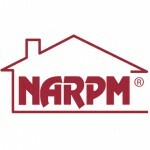 They are a great property manager company. Anytime there were problems they were quick to bring resolution. The staff was always very friendly and professional. They keep the properties they manage in great condition. We know the Metroplex and we know property management. Working with a property manager can help you grow your portfolio and boost your earnings, all while eliminating the stress of owning a rental home. Westrom Group Property Management not only understands the ins and outs of the real estate industry in North Texas, but we're also local experts. Our team has worked extensively with property owners throughout the Metroplex over the course of our 21-year history. We're a family-owned and operated business, with staff members who work and play in DFW. We call upon our property experience to help new clients to get the most out of their homes. We also pay close attention to industry trends and local rental patterns. You will not find a more knowledgeable team in our local area. Isn't it time you experienced property management with a trusted partner by your side? Wondering if we can help? Give us a call to learn more about our offer.